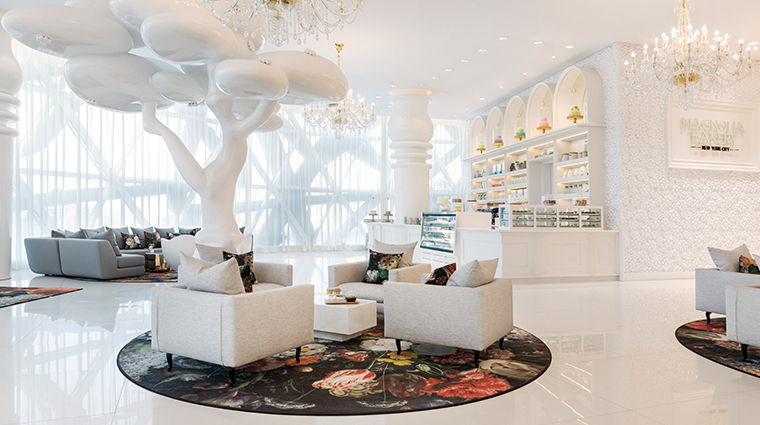 From its dual lobbies featuring a “Staircase to Nowhere” (yes, you can climb it) and a “Frozen Forest” of white tree sculptures, Mondrian Doha is in equal turns an eccentric fantasy and a fully fledged opulent escape from the city. 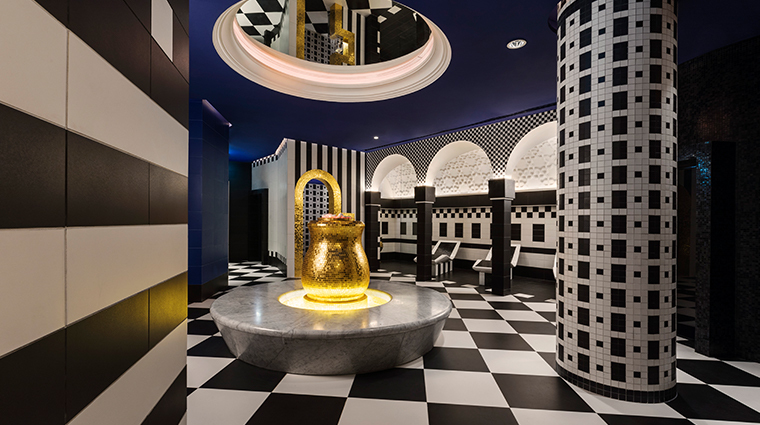 The entire hotel reflects the intricate and unique stylings of Dutch designer Marcel Wanders, from the sweeping public areas to the rooms, restaurants and even the I Dream of Jeannie-inspired bathrooms draped with Arabic lanterns. 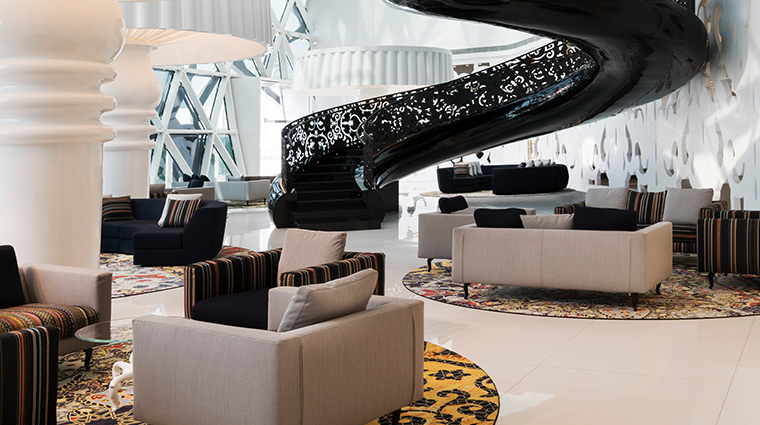 As Qatar’s newest hotel and the first of its brand in the region, the property also brings with it Mondrian’s signature glamoroustouches like custom-designed furniture in each room, luxe king-sized beds and personalized service. 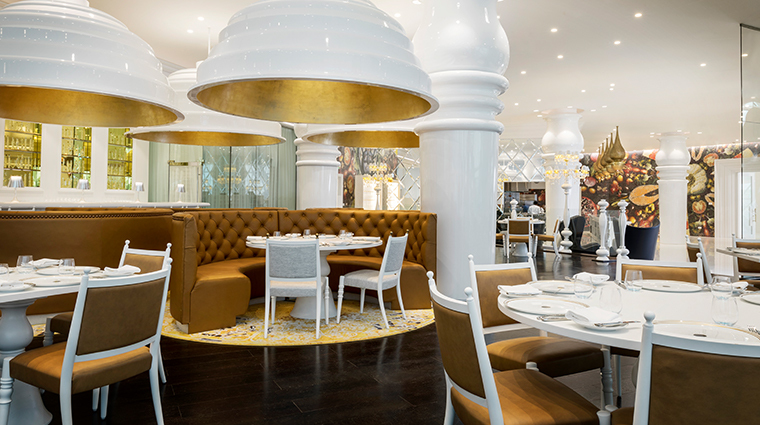 Boasting two celebrity chef-helmed restaurants —Wolfgang Puck’s CUT and a Japanese outlet by Iron chef MasaharuMorimoto— plus two other eateries, a bar and a nightclub, the Doha hotel has justifiably set the city’s dining and entertainment scene ablaze. A highlight of a stay here is a soak in the full-size, freestanding tub found in every guest bathroom. A scrub in the rainfall shower isn’t a bad way to start the day, either. 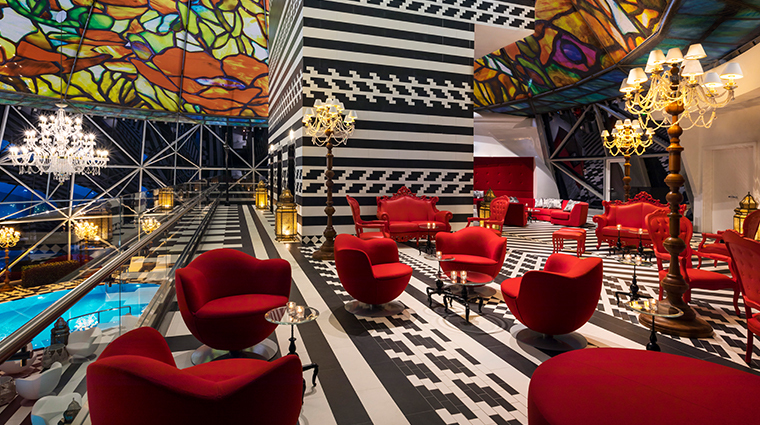 In true Mondrian style, the rooms are wired, connected and amped. Listen to your own music in your room through Bluetooth or select a direct feed from the hotel’s nightclub, Black Orchid. The Mondrian’s enclosed rooftop pool has one of the most spectacular settings in the city, offering panoramic views of Doha while you lounge. 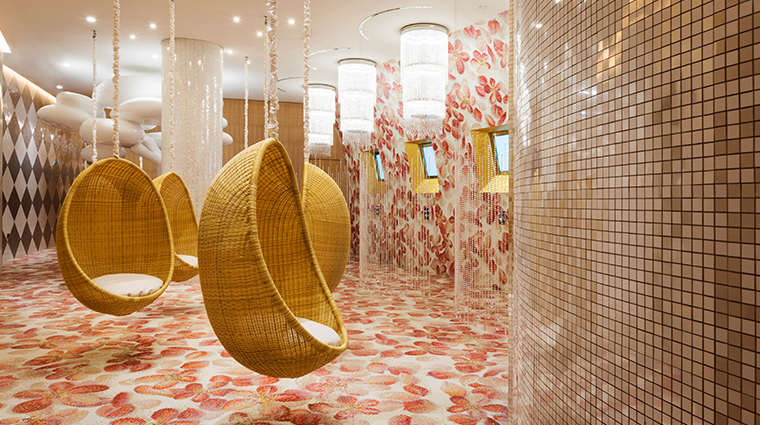 The hotel’s ESPA spa (the first in the Middle East) provides a respite from the city with 12 treatment rooms, Doha’s only Turkish-style hammam, a heated experience garden and a luxurious couples’ suite. 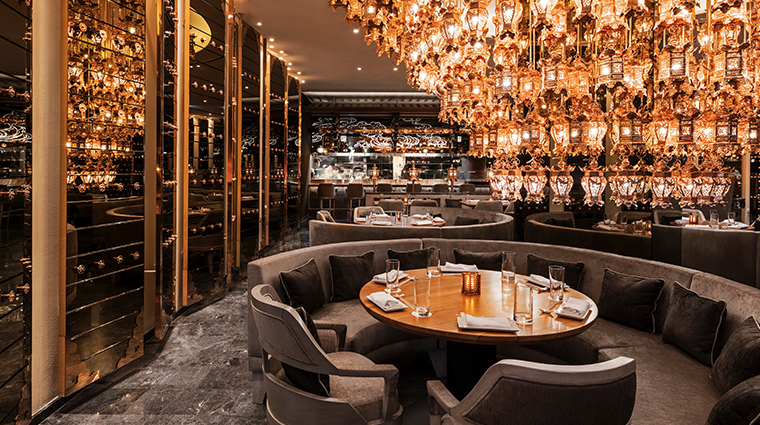 The top-notch restaurants alone are worth a visit to Mondrian Doha. The Mondrian’s surroundings are a work in progress thanks to the city’s endless construction, so make sure to plan for traffic when arriving and departing. 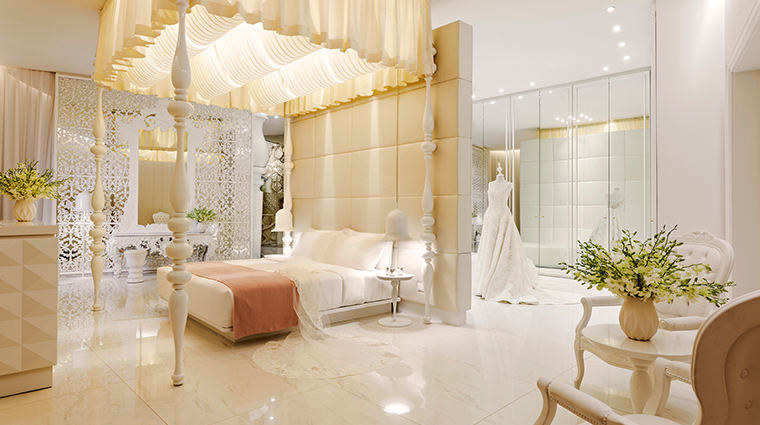 This opulent hotel could never be described as understated, so those who prefer a more muted aesthetic should consider another property. 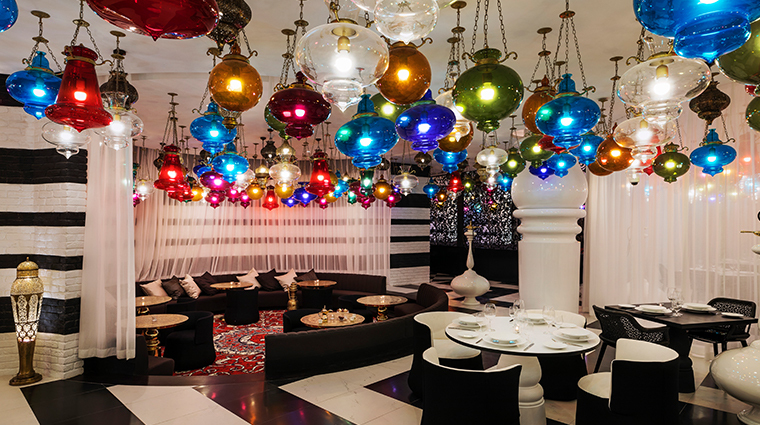 Qatari restaurant Walima does not serve alcohol, but you can indulge in the full-service bar on the eatery’s shisha terrace. The hotel’s monochrome pool is smaller than many found at luxury properties in Doha, but what it lacks in size it makes up for in facilities — while lounging here, you’ll enjoy a giant TV screen, comfortable deck chairs and an adjoining bar. 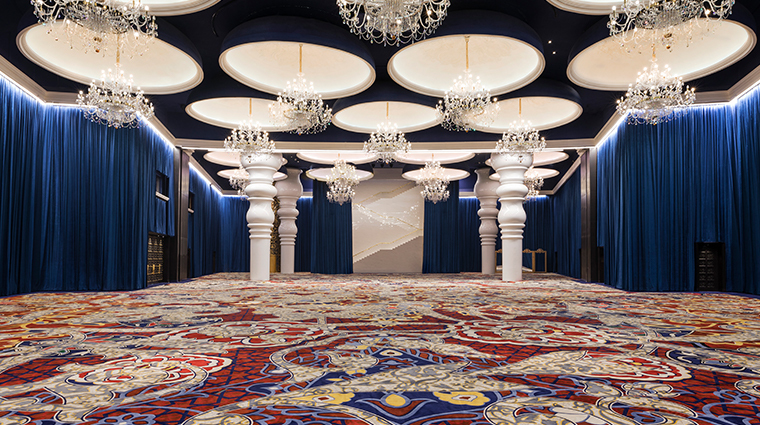 For the ultimate stay before the big day, the 7,000-square-foot Opal Bridal Suite comes with Swarovski crystal chandeliers and a 24-karat gold-lined elevator that will take you directly to the hotel’s Moonstone Ballroom for a show-stopping entrance. 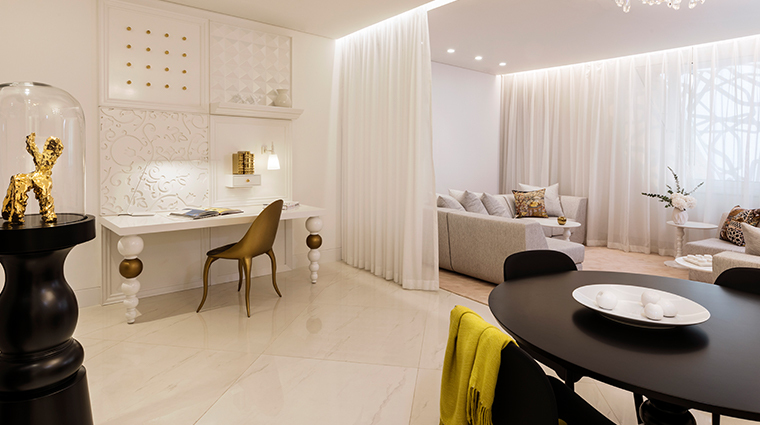 Standard rooms are a generous 519 square feet while suites start at more than 1,000 square feet, giving you plenty of space to work and relax. 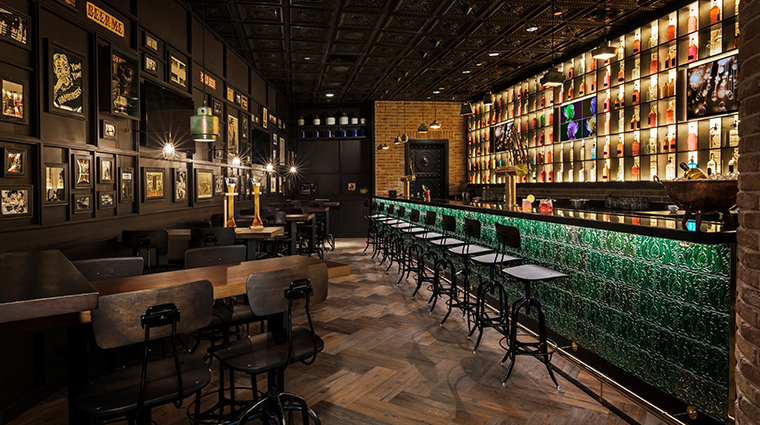 The hip hotel has made every effort to ensure even the smallest touch is handled. 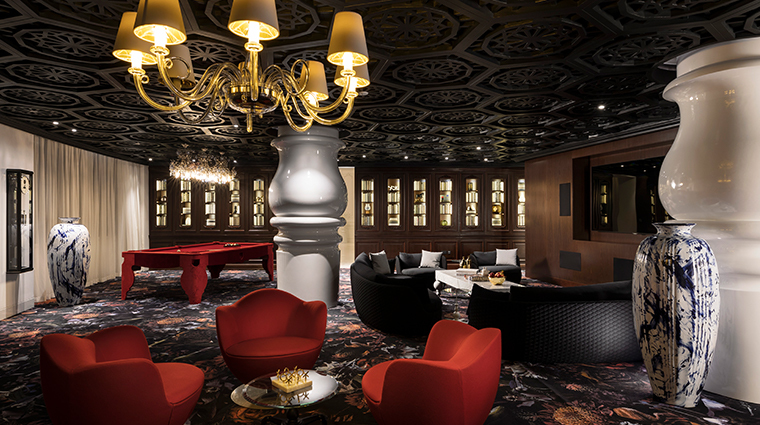 Each room is outfitted with Nespresso machines and access to more than 300 TV channels. 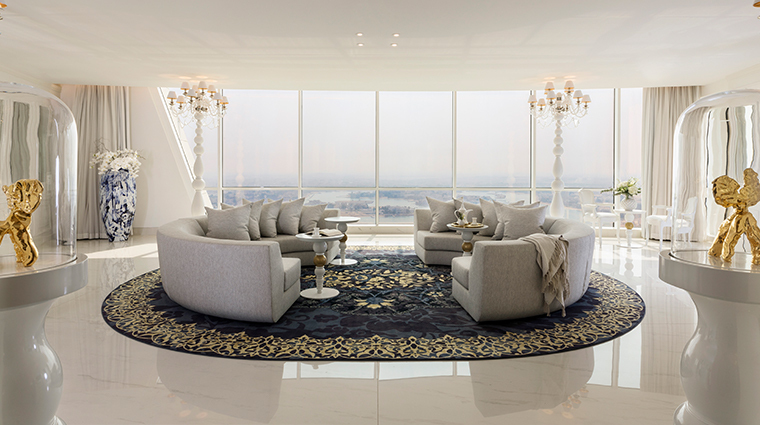 To take in the spectacular sunsets Qatar is known for, be sure to book a room or suite with a terrace. The Deluxe Two-Bedroom Suite is great for families or groups. It comes with a small kitchenette, a dining table and multiple sitting areas. 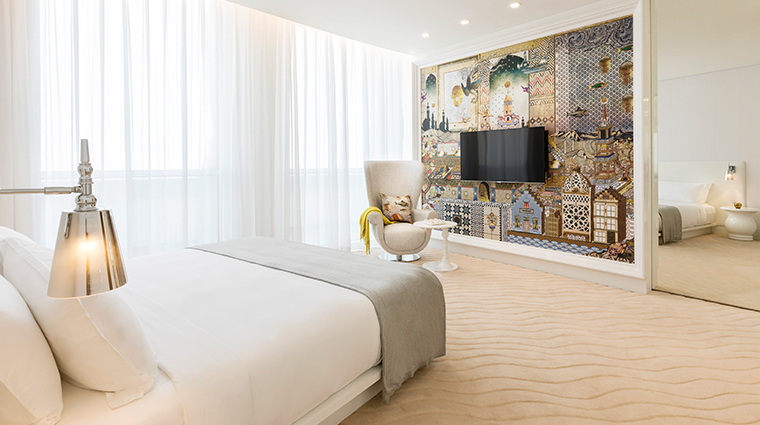 Each room features a version of the bespoke mural that Wanders created for the hotel. It tells the story of a Dutchman’s travels through the desert. The casual Hudson Grill serves up some of the best comfort food in the city. The hot chicken sandwich is the star of its compact menu. Walima gives you a taste of Qatari cuisine with lamb and fish dishes. Head to its expansive shisha terrace to check out the garden, which is adorned with shrubs fashioned into falcons. 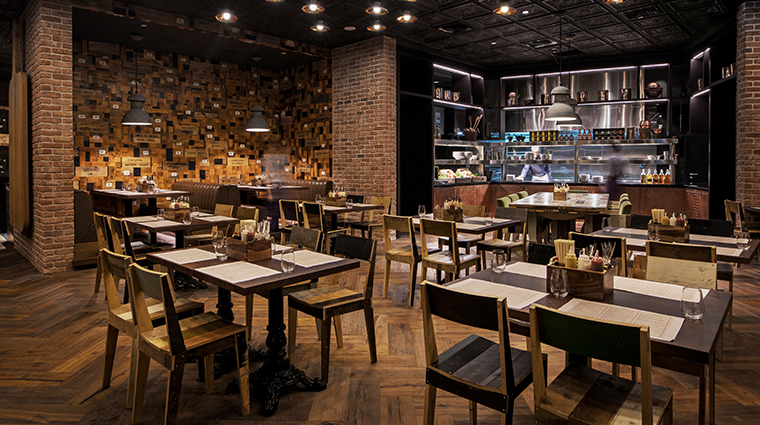 CUT by Wolfgang Puck is the hottest dining reservation in town. The steakhouse menu features USDA Prime beef, but the fresh local seafood is also a standout. 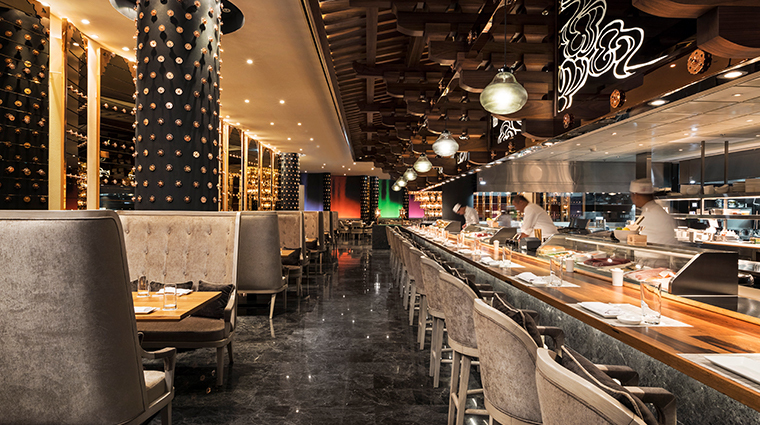 Only the finest ingredients are used at the intricately decorated Japanese restaurant Morimoto. Order the eatery’s famed wagyu beef and you'll be told the farm it was raised on, the cow's date of birth and breed. 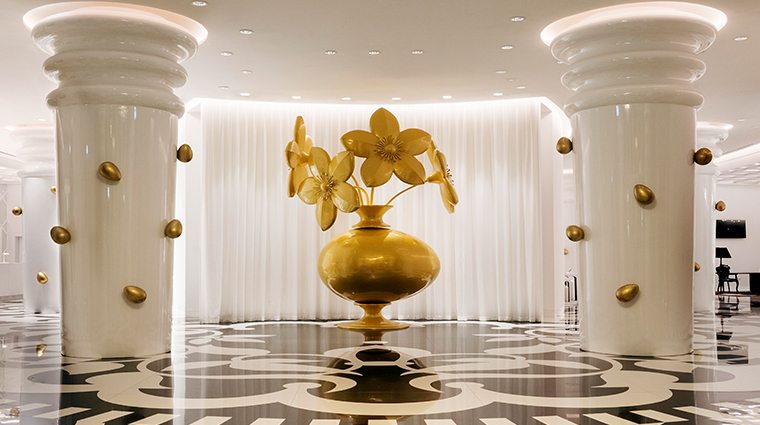 The hotel’s lobby features a branch of New York City cult cupcake café Magnolia Bakery. Grab a seat for some great people-watching or order a serving of its addictive banana pudding to enjoy in your room.